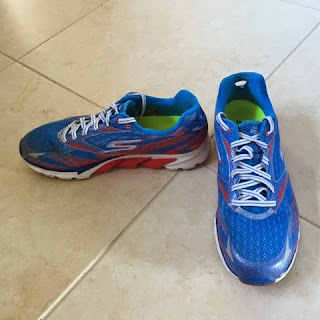 Gorun is the lightest shoe in the skechers range. The gorun4 is the most recent model and sees more changes than previous updates. When I read online how much the shoe had changed I was worried I might no longer like it but I kept an open mind especially as I had seen so many pretty colours and they looked really nice! Taking the shoe out the box it looks totally different to previous models - in a good way and just like (or even better) than in the pictures I had seen. The first change is the hole in the heel to make it easier to pull the shoes on and off. At first I didn't see much point in this but now I find myself looking for it on other shoes! This hole is also on the Gorunride4. 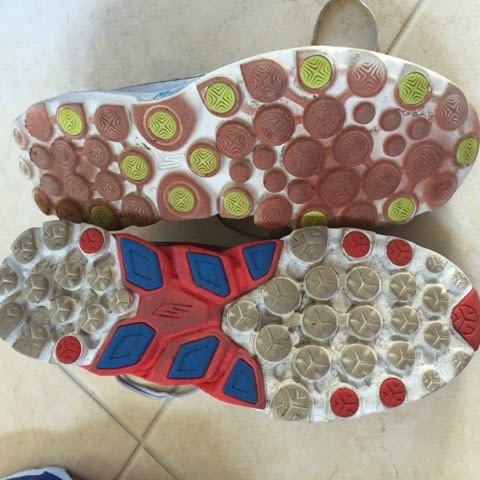 The upper has changed as has the sole which is 3mm thicker. This has added a little extra weight - size 7 ladies GOrun3 weighs 187g the Gorun is 210g. As with the Gorun3 the heel drop is 4mm or you can take out the insole giving a zero drop and a more minimal ride. 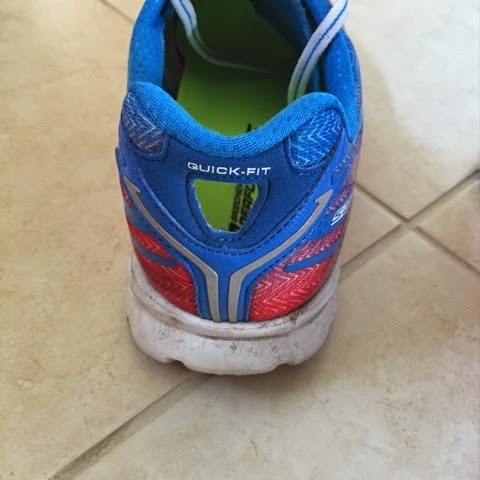 I have not run without the insoles as the shoes would then be too big (I already have a slightly bigger size than normal shoes). They come with 2 sets of laces - I have not tried the red ones but will probably swap them over when these start to look grubby! I was never keen on the tongue on the Gorun3 - it was too thin/floppy. The new tongue is much better - more padded so more comfortable. I received the shoes a few days before the London marathon and since I had the limited edition London edition felt it would be rude not to wear them! I wore them for a few short test runs then for the marathon with no blisters or bashed toe nails! 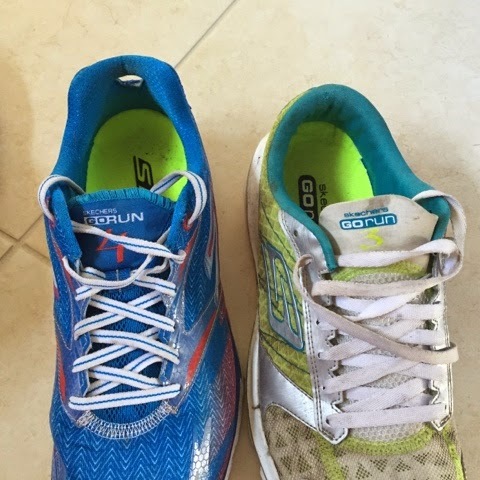 Gorun has been my Speedwork and race shoe (up to marathon distance and the occasional short ultra) but now there is less difference in weight between the Gorun and Gorun ride (which is my everyday training shoe) I will probably wear the Gorun4 for more of my training runs as I prefer a lighter shoe and the extra weight means it is more suitable for every day use.